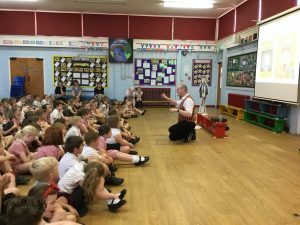 Two school visits were squeezed in to one day. 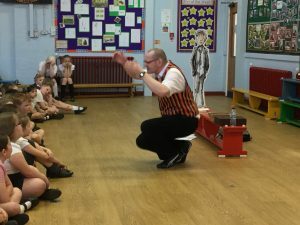 First stop was Moor Park Primary, Blackpool. 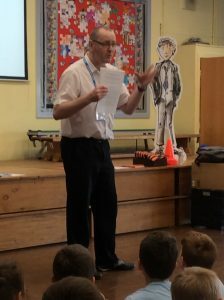 It had been a year since my last visit so I had lots to tell the children. They discovered how Danger Zone was written and the illustrations were created. 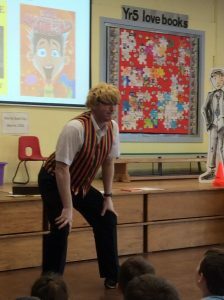 I even put on the storytelling waistcoat to perform one of the Tales – a crazy story about a crime-fighting wig! 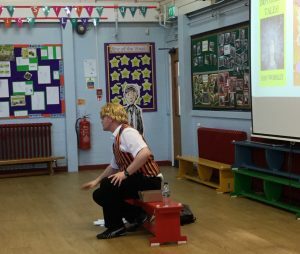 It was a fabulous forty minutes and the children were fantastic. 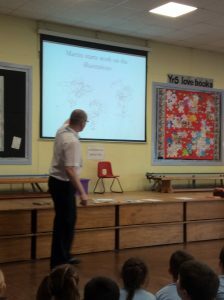 It was great to talk a little more afterwards whilst signing some books. After grabbing some lunch, I headed north to Slyne-with-Hest. 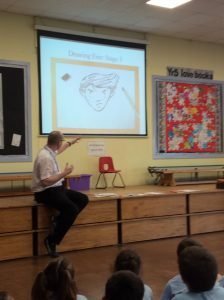 St Luke’s is a fab school and they have been part of my writing journey from the beginning. 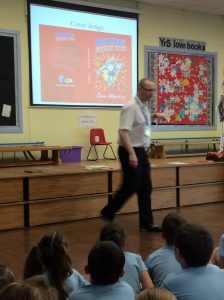 It was a joy to share Danger Zone with the KS2 pupils followed by a really busy book signing after school. 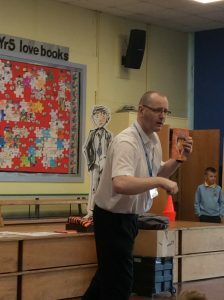 I’d like thank Miss Kirkaldy at Moor Park and Mr Bowden at St Luke’s for inviting me to their schools and helping to promote the book signings. I had a fantastic time and look forward to returning at some point in the future.